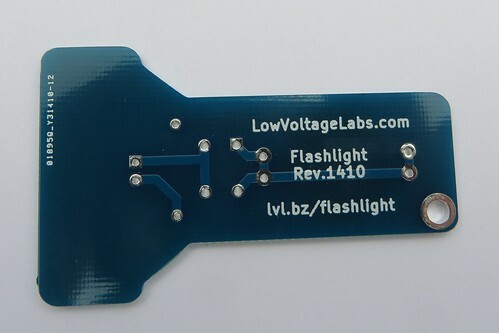 Brighten up your day with the new easy to build flashlight kit from Low Voltage Labs. 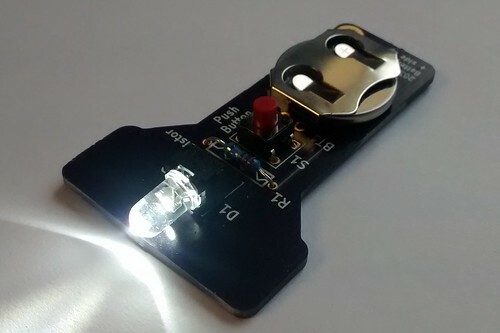 This kit is perfect for the beginner just learning to solder. 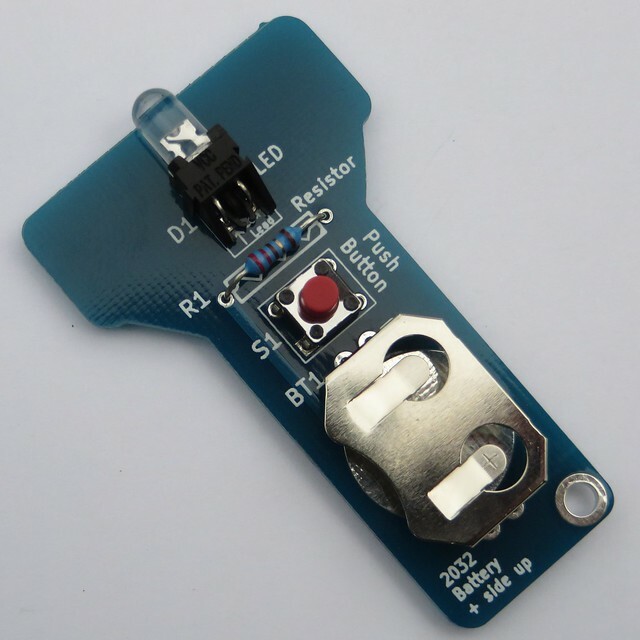 All the parts on the circuit board are clearly marked for those new to electronics. 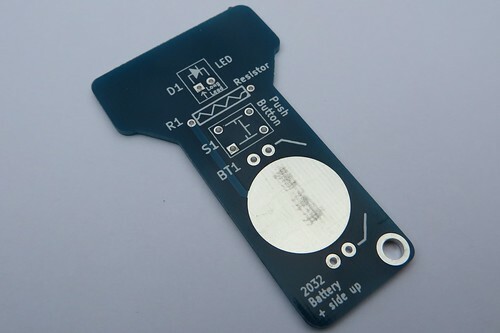 The two layer circuit board has easy to follow traces so you can see how the flashlight works. 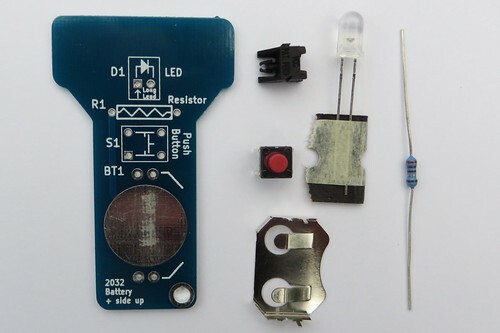 The kit includes the PCB and all the parts needed, just add solder and a battery. Powered by a standard 2032 coin battery not included. Interested in distributing this product? Please contact us for wholesale pricing.